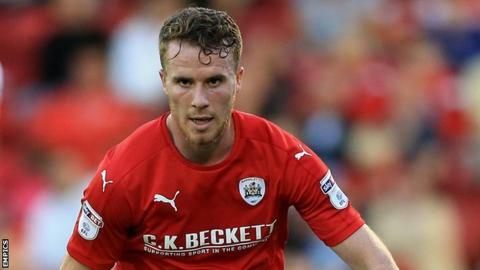 Norwich City have agreed to sign Barnsley forward Marley Watkins on an initial three-year contract. The 26-year-old, who received his first Wales call-up last week, rejected a new deal at Oakwell and becomes new head coach Daniel Farke's first signing. He scored 10 goals in 45 appearances for the Tykes last season and will officially join Norwich on 1 July. "Norwich is a club with ambitions to be in the Premier League so I'm happy to have made this decision," Watkins said. German Farke, who was appointed on 25 May, added: "He scored 10 goals and got nine assists, and can play either as a forward or on the wing. He's physical and a good character, who gives us another option in attack." The Canaries have the option to extend Watkins' deal by a further year.